Verve Thank You and A Picture! Hello! I'm trying to finish up a couple of thank you cards that one of my friends asked me to make. 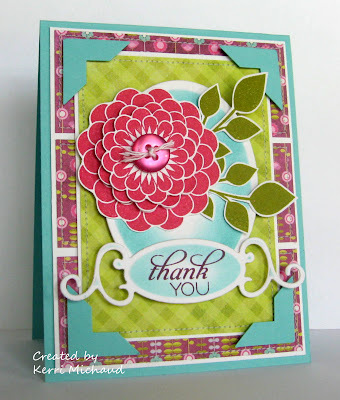 She wanted something pretty, so I reached for my favorite pretty stamps~Verve! For this card I used the set Dream Big along with the Viva La Verve May 2011 Week 4 Sketch. The dp is some fab My Mind's Eye Lime Twist Happy Go Lucky. I also wanted to share a picture of Carson with Louie. So cute! Well, I'm off to do some more crafting! Thank you so much for stopping by and enjoy the rest of your Saturday! 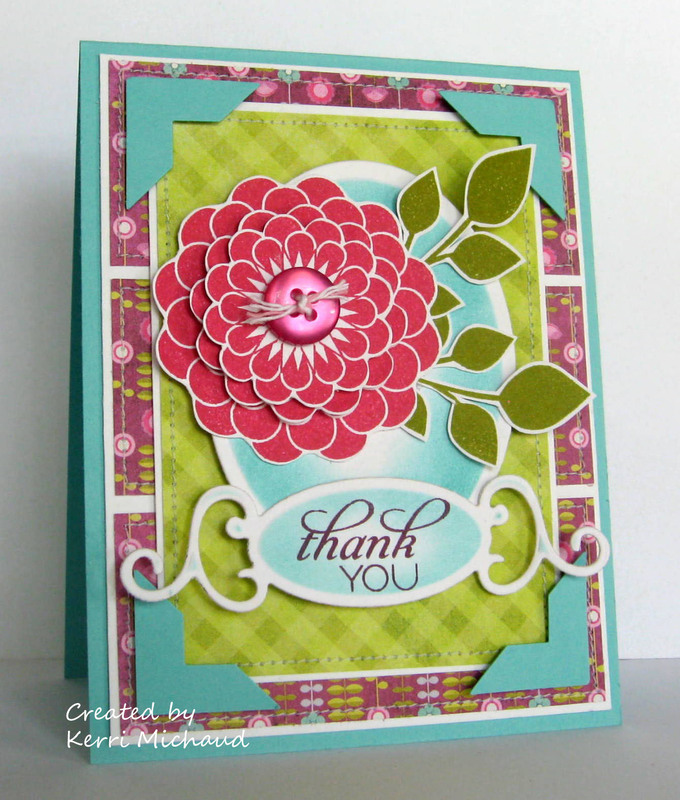 Kerri, I love this beautiful card in lime, pink and aqua!!! And Caron and Louie are both absolutely adorable, this is a precious photo! waaaaauw ! what a fab card ! love the card!!! great colors, awsome flower! Oh my wow! This is a fabulously gorgeous thank you card!!! Those designer papers are so beautiful, bright, and cheerful! Really gives your card an outstanding punch! hmmm, i need to pull out my photo corner punch. Beautiful card and love the colors! What a beautiful card Kerri, so wonderful! And the picture of your son and your dog is very cute too. Oh that card is all out wonderful I love it! The photo of you two cuties is a real treat thanks for sharing! What a cutie pie! And the card is absolutely gorgeous too! I agree...Verve flowers are some of the best images! 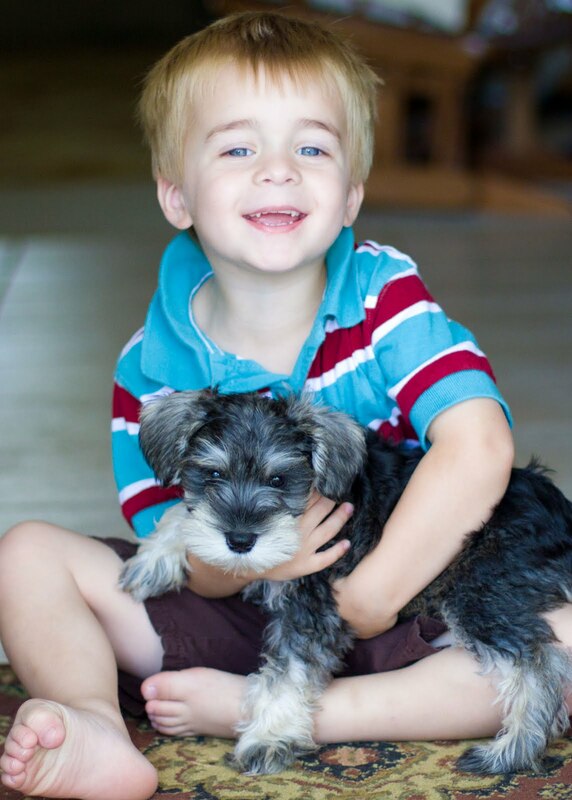 Your little guy with your new pup is absolutely adorable! I see a scrapbook page in your future - lol! Well first, I need to comment on that beautiful boy and pup in the photo!! Wow!! How sweet is that!!! I'm itching to get a dog. We've never had one and I've been hedging on getting one because I don't want to be the one to take care of it. But I think the kids may be old enough to feed it and whatnot...still thinking...itching....; cute picture! And I love that big ol' flower on your card....which those leaves....hand cut? You always have the bestest flowers on your cards. Gorgeous thank you card, Kerri! I love that flower image. It looks dimensional - love it! WOW!! Your card is GORGEOUS!! Love the bright colors and the button in the center of the bloom! !